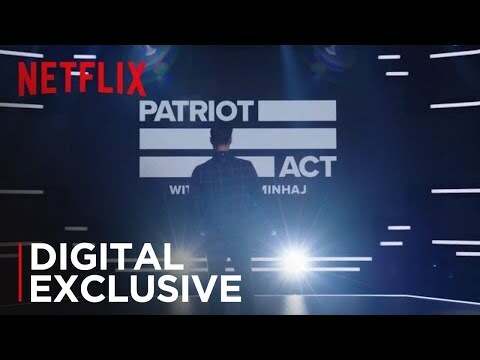 Patriot Act with Hasan Minhaj will debut on Netflix on Sunday, October 28th. Netflix has committed to an unprecedented 32 episode order, making Minhaj the first Indian-American host of a weekly comedy show. Minhaj's weekly comedy show will explore the modern cultural and political landscape with depth and sincerity. Each week, Minhaj will bring his unique comedic voice and storytelling skill to investigate the larger trends shaping our fragmented world. Patriot Act with Hasan Minhaj Season 1 was released on Netflix 173d ago in the US and the UK. Notify me when Patriot Act with Hasan Minhaj Season 1 is available.